For decades, prosecutors have been securing convictions against drunk drivers using the same tried-and-true means of evidence gathering: Roadside sobriety tests. The officer has the driver stand on a single leg, walk a straight line, recite the alphabet (starting with G), conduct an eyeball analysis. If the driver doesn’t perform as well as they should, the officer will come to court to testify about why they believe the driver wasn’t fit to drive. Criminal defense lawyers have long challenged these tactics, but they have still proven generally useful in drunk driving cases. However, marijuana defense lawyers are increasingly successful at arguing that such tests aren’t an adequate indicator of whether someone is too impaired by cannabis to drive. There is little to no science to show that these standardized measures are effective in testing the sobriety of someone believed to be high on weed as opposed to drunk on alcohol. Recently, a defense attorney took one such case to the Massachusetts Supreme Judicial Court, arguing these tests shouldn’t be allowed as evidence in cases where someone is accused of marijuana DUI. She argued that where science has proven itself reliable, it should be allowed in as evidence. However, there has not yet been enough testing on marijuana impairment to know if these measures are in fact correlative indicators of marijuana intoxication. NPR reported there is much at stake here because police in these cases often have very few alternatives. There is no existing roadside toxicology test that can definitively prove whether someone is too high to be driving the way a blood test or breathalyzer can show for sure that someone is far too drunk to be behind the wheel. Although there are a few states that have imposed a minimum level of THC in the body as indicative of impairment, so far, the scientific consensus is that this isn’t an accurate means of determining impairment because marijuana is fat soluble. That means traces of the main ingredient remain in the bloodstream long after a person has sobered up. So in essence, all a blood test does is tells you the person has consumed the drug some point in the past. But what is not clear from that result is whether the person consumed the drug an hour ago or a week ago. Other evidence may be questionable too. For example, officers will often note that a drunk driver had the smell of alcohol on his breath. But again with marijuana, we know the smell of burnt marijuana can linger for days after it’s consumed, so that is not necessarily an accurate indicator either. Prosecutors, though, insist that field sobriety testing is an accurate method of concluding whether someone is high. 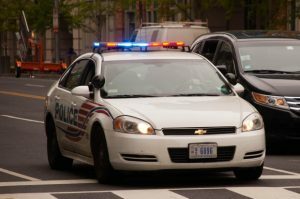 In the past, police could usually just find that a driver possessed marijuana and arrest them for that to get them off the road, even if they didn’t have enough evidence to prove the driver was actually impaired. Now, that’s not an option in a growing number of states, including California. Some have proposed not necessarily scrapping field sobriety tests, but rather finding more effective ones that pertain directly to marijuana DUI, as its effect on the body differs greatly from that of alcohol, for which field sobriety tests were designed.